Karil has been teaching physical education at Covenant for over 6 years. She studied Nutrition and Fitness at Liberty University and Visual Arts at Harrisburg Area Community College. Her approach to physical education is holistic, seeking to engage the mind, body, and soul. She believes that play is important and necessary for all ages. 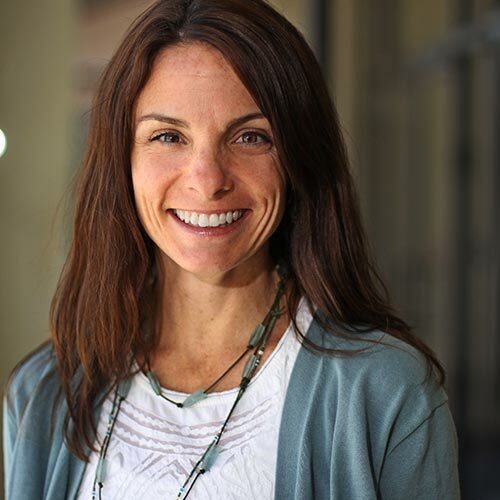 To the classroom she brings elements of play while weaving the fruits of the spirit into team building games, fitness components, sports fundamentals, and nutrition. She hopes to cultivate lifelong lovers of wellness. She and her husband have three children at Covenant. She enjoys running, racing in 5Ks to half marathons, hiking, healthy cooking, reading, singing, and gathering with family and friends.